The post HIT! Super cheap last minute flights to Dominican Republic: only €200! appeared first on RushFlights.com. 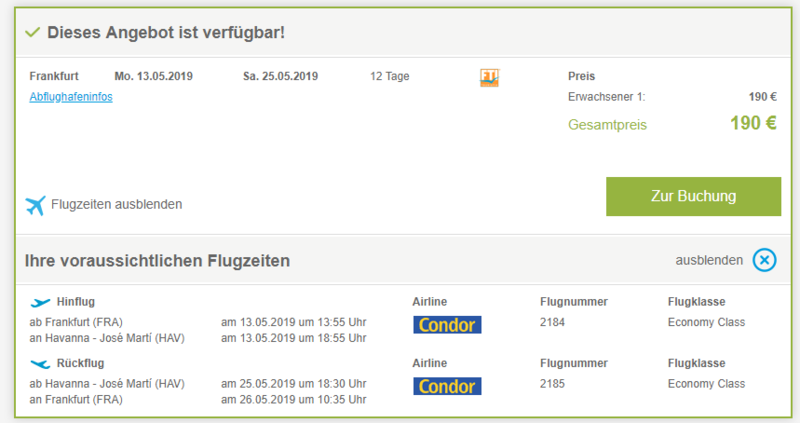 UPDATE 19.4.2019: Super cheap last minute flights from Dusseldorf to Puerto Plata in Dominican Republic again available for only €209! Fixed dates 23.4.-7.5. (2 weeks) or 23.4.-14.5. (3 weeks). Hurry up and BOOK NOW, check screenshot. There’s just few more seats left on really cheap flights to Dominican Republic from Germany for incredibly low price! Return tickets from Cologne (Köln/Bonn) to Puerto Plata will cost you just €200! 23 kg check-in luggage is also included in the price! 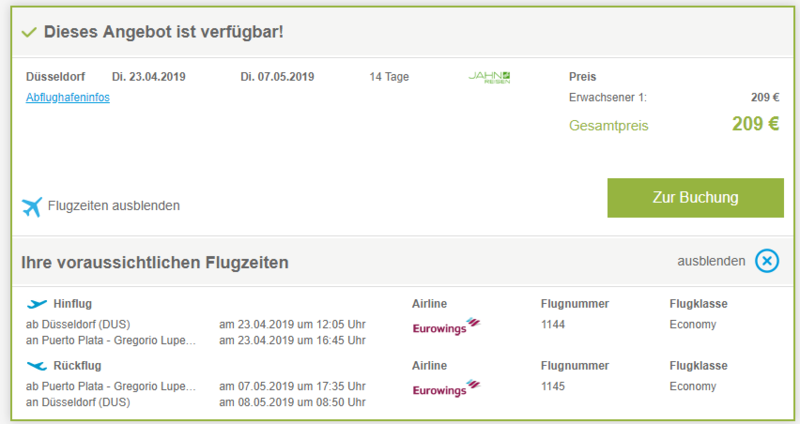 Getting to Dusseldorf / Cologne s is easy from any major airport in Europe with cheap Eurowings and Ryanair flights, use our search form on the right to find a connecting flight or you can also go with cheap Flixbus buses. Ryanair and Eurowings have cheap flights to Cologne, you can also consider Flixbus buses. Book now at TUIFly before it’s gone! Dominican Republic is relatively cheap country so you don’t have to pay much for your hotel. There are however super luxurious resorts as well, so the choice is just up to you. Check out or hotel booking system to get the best price! You can also save with this Agoda promo code and get 8% discount from all hotels. The post 30% off AVIANCA discount promo code 2019 appeared first on RushFlights.com. Popular Latin American airline AVIANCA now offers huge discount for your flight tickets. In order to get massive 30% discount you just need to click on the button below and use the promo code displayed with your reservation. With this Avianca promo code you can fly for great prices from Sao Paulo and Rio de Janeiro to many destinations in Europe and America. There is no minimum purchase necessary for this Avianca promo code, it works on all bookings. Supported destinations for this Avianca discount code are Miali, Fort Lauderdale, San Andrés, Cali, Munich, Cartagena and Medellín. Travel dates for this Aviance promo code are until end of September 2019. How to apply this Avianca promo code? In order to get the discount, click on the button above, copy the promo code and then paste it on the official website of Avianca. The promo code field appears on Homepage of Avianca when you enter your departure, destination and travel dates. Paste the promo code in this field and you will already get updated prices of your flight. Looking For Avianca’s 10% Off Coupon Code? Avianca S.A. (acronym in Spanish for Aerovias del Continente Americano S.A., “Airways of the American Continent”) is a Colombian airline. It has been the national airline and flag carrier of Colombia since 5 December 1919, when it was initially registered under the name SCADTA. It is headquartered in Bogotá, D.C. with its main hub at El Dorado International Airport. Avianca is the flagship of a group of eight Latin American airlines, whose operations are combined to function as one airline using a codesharing system. Avianca is the largest airline in Colombia and second largest in Latin America, after LATAM of Brazil-Chile. Avianca and its subsidiaries have the most extensive network of destinations in Latin America. It is wholly owned by Synergy Group S.A., a South American holding company established by Germán Efromovich and specialising in air transport. It is listed on the Colombia Stock Exchange. Through SCADTA, Avianca is the world’s second oldest airline after KLM, and celebrated its 90th anniversary in 2009, when it was announced that it would merge with TACA. It is the oldest airline in the Western Hemisphere. It became an official member of Star Alliance on 21 June 2012, after a process that lasted approximately 18 months from the initial announcement of its invitation to join the Alliance. Official website of Avianca is www.avianca.com. Enjoy your discounted flight with Avianca! Check also our other promotional codes: Iberia promo code, Vueling discount code or AIR ITALY promo code. The post Cheap direct flights to Maldives for only €359! appeared first on RushFlights.com. The post Cheap flights to Colombia: Bogota for only €415! appeared first on RushFlights.com. UPDATE 16.4.2019: Cheap flights to Colombia again available from Vienna to Bogota for only €415! Check-in 23 kg baggage and meal onboard included, travel dates in September and October 2019 e.g. 17.9.-1.10., 22.9.-12.10, 30.9.-15.10., 7.10.-23.10. or 14.10.-30.10. BOOK NOW, check screenshot. Air France now offers really cheap flights to Colombia. Return ticket from Munich to Bogota will cost you only €465! Regular price on this route is around €800 so you save tons of cash! There is 1 stopover in Atlanta so you need valid ESTA or US visa. Bogota is pretty cheap and you can get hostels from approx €5 per night accommodation options. Use our search engine to compare all the booking sites at once. The post Cheap last minute flights to Dominicana: Punta Cana for €275! appeared first on RushFlights.com. The post WOW! Cheapest flights to Cuba in history: Havana for only €179! appeared first on RushFlights.com. The post HIT! Super cheap flights to Cayman islands for only €268! appeared first on RushFlights.com. The post Get €600 back for your delayed flight with AirHelp! appeared first on RushFlights.com. It happened to everyone – your flight was delayed, you missed your connecting flight or you simply had to spend many hours waiting at the airport. Flight delays happen, but that doesn’t mean you have to accept them. You may be entitled to as much as €600 in compensation if your flight has been delayed, canceled or overbooked within the last three years. Even though 8 million people around the world are eligible for compensation, less than 2% understand what they’re entitled to. If your delayed flight was into or out of Europe, you could be entitled to up to €600 in compensation. That’s because Europe has strong regulations on passenger rights. No matter where you live, if you’re flying from a European airport, or flying into Europe on a European airline, you can claim for flight delay under EC 261. You can get your money back for your delayed flight up to 3 years in the past! Claim your compensation up to €600 for your delayed flight with AirHelp.com. The post Cheap flights to Canada: Vancouver for only €333! appeared first on RushFlights.com. UPDATE 5.4.2019: Cheap *direct* flights to Canada again available from Paris to Vancouver for only €373! Travel dates in September and October 2019, e.g. 9.9.-23.9., 14.9.-23.9., 21.9.-2.10. or 23.9.-9.10. Flights operated by Air Canada. BOOK NOW, check screenshot. If you plan to visit Canada at the beginning of next summer, we have a sweet deal for you. You can now book return flights from Brussels to Vancouver for only €333! This is a really low price as usual tickets cost at least €600, especially in the summer months! Travel dates are in May and June 2019. We recommend AirBnb for private accommodation in Cuba – get €20 free credit from us! Flights are operated by Lufthansa, Air Canada and Brussels Airlines. The post 40% off Etihad Airways discount coupon code 2019 appeared first on RushFlights.com. Etihad Airways released a brand new discount coupon codes for 2019. This Etihad promo code works until 15th April 2019 for flights from Europe. Customers must take their departing flight between 1st May 2019 and 30th June 2019, and must complete their travel by 31 July 2019. This Etihad promo code works until 1st March 2019 so you better hurry up. Departure dates are limited until end of May 2019, return is not limited. You have to fly from USA to get this discount, included airports are Washington DC, New York City NY, Chicago IL and Los Angeles CA. The promotion is intended for flights to United Arab Emirates, India and Pakistan but should work also for other destinations. This Etihad promo code works until 28th February 2019 so you have plenty of time to use it. Travel dates are limited until end of June 2019. There is no minimum purchase necessary. Discounted price will be highlighted with a yellow star. Here’s a brand new Etihad promo code for nice €25 discount on your flight from Germany or Switzerland! These discount codes are valid for €25 discount on Economy class flights from Germany (München, Düsseldorf or Frankfurt) or Switzerland (Geneva or Zurich) to any destination in Etihad network. Travel dates are great from 20.04 to 15.12.2017 which gives you plenty of possibilities to choose your flight. There is no minimum purchase necessary for this Etihad promo code but you must use it before 2nd May 2017. Etihad contacted us with brand new exclusive 20% off promo code for flights from USA. To get the promo code just click on the button below and then copy&paste the promotion code in the Etihad’s booking form on their official website. This Etihad promo code works for all Economy class flights from New York JFK to all destinations operated by Etihad. The discount code works until end of April 2017, travel dates are not limited (only some blackout dates around Christmas and Holidays). Enjoy! We just received a new Etihad promo code which entitles you for massive 30% discount on ALL flights operated by the airline! You can now get 30% off all flights in Economy class and also Business class. To get the promo code just click on the button below and then copy&paste the promotion code in the Etihad’s booking form on their official website. This Etihad promotion code works for flights from January to June 2017 which gives you plenty of options for your vacation. Currently the expiry date of this promo code is unknown so we advise you to book as soon as possible before it is disabled. The discount is calculated from the base fare excluding all extra fees. As always we have verified that the discount code actually works. In our example we booked a return flight from Manchester to Sydney with departure on 2nd February 2017 and return 2 weeks later on 16th February 2017. As you can see on the screenshot below, we got a really massive discount of more than 200 GBP on this booking! The total price is 672 GBP instead of 878 GBP which would be the price without the code. Enjoy your cheaper flight with Etihad! Etihad sent us a new amazing 25% off discount code for all departures from France. If you plan to fly from Paris you can now save loads of money with this promo code! Click on the button below to get the code and then use it on official Etihad’s website. This discount code works until 31st October 2016 for flights from 18th April 2017 to 30th June 2017. Etihad flies from Paris to Bangkok, Hong Kong, Singapore, Melbourne, Sydney, Delhi, Shivaji, Ho Chi Minh, Doha and Dubai. Etihad released another brand new discount code that gives you 10% off your purchase. To see the code click on the button below and then use the code on the booking form of Etihad on the official homepage. This Etihad promo code works until 31st August 2016 and is calculated from the base fare. Travel dates for this coupon are until 31st March 2017 so you can plan your trip well ahead. As always we tested this promo code and you can see it really works on the screenshot below. WOW, Etihad just sent us an incredible 40% off discount coupon code! Hurry up and book Etihad flights a massive discount! We just verified this superb code and it really works! The discount is calculated from the base fare only, but it can still save you a very significant amount of money! You have to hurry up though with the booking, it is valid only until 20th May 2016. Travel dates for this Etihad coupon code are limited from 5th to 20th June 2016. Here is a proof it actually works – we tested the coupon code on flight from Venice to Bangkok with Etihad on 6.6.-13.6. 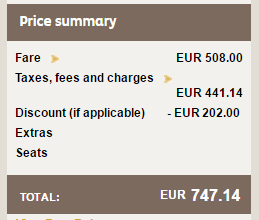 You can see the discount of 58 EUR from the fare price which is exactly 40%! Since the discount is calculated from the base fare, it gets even better with more expensive flights. We tried it also on Venice – Sydney route on the same dates and the discount here climbed to incredible €202!! Hurry up and book your cheap tickets with Etihad! Here’s a brand new updated coupon code for 10% discount! This new code is valid for departures from Italy, France and Switzerland. This Etihad promo code is valid from 15th to 21st April 2016 (ends midnight local time). Travellers must fly before 30th June 2016 in order to get the discount. You can now save great 10% from your Etihad flight, click on the button below to see the promotion code and then enter it on the first page of booking form. This Etihad discount coupon code is valid on all Economy class flights. Travel dates (date of return flight) for this Etihad promo code are until 6th June 2019. The discount for this promo code is counted from the basic fare excluding addtional surcharges. How to apply these Etihad promo codes? Simply locate the Promotion code field on the homepage of Etihad and paste the code there. Etihad Airways is the second largest airline of the United Arab Emirates (after famous Emirates). It is based in Abu Dhabi, near Abu Dhabi International Airport (OMAA – ICAO). Etihad operates commercial flights from November 2003. The airline has more than 1,000 flights per week to more than 120 destinations in the Middle East, Africa, Europe, Asia, Australia and the Americas. The company has massive fleet of 122 Airbus and Boeing aircrafts (updated March 2016). In 2014, Etihad transfered over 14.8 million passengers. 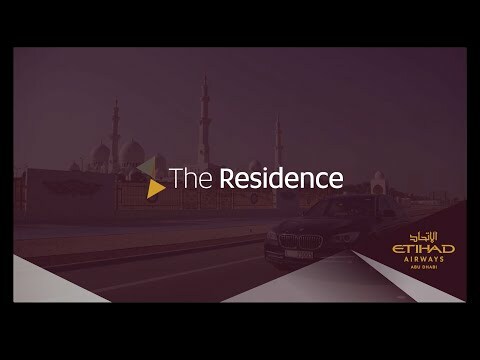 Check also this cool video about your experience in Etihad’s First class The Residence suite, onboard Etihad’s new Boeing 777.